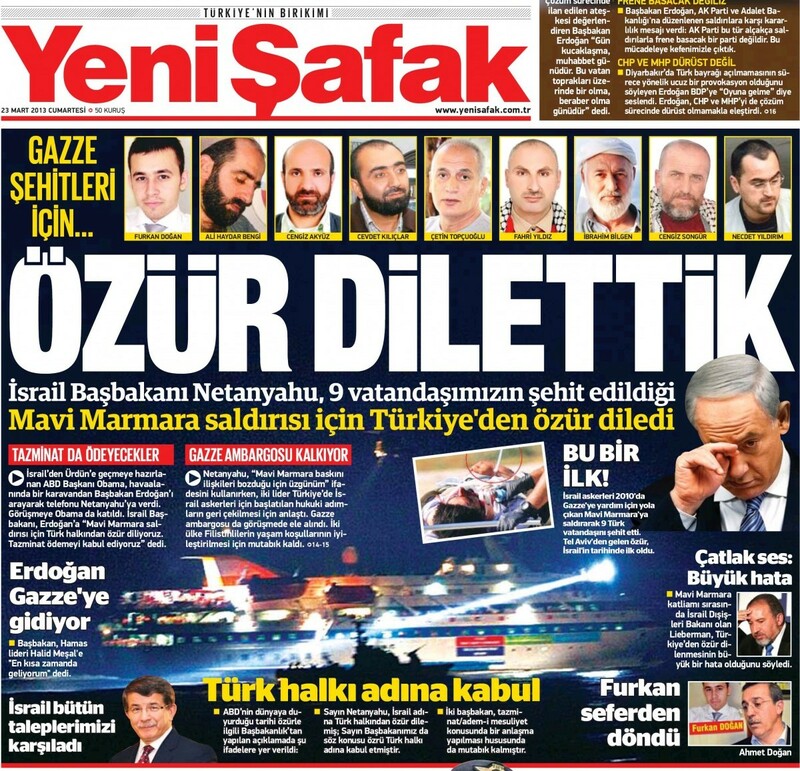 There was plenty of crowing in Turkish newspapers over the weekend, following Friday’s official U.S.-brokered apology from Benjamin Netanyahu for Israel’s killing of nine Turkish citizens on board the Mavi Marmara in 2010. 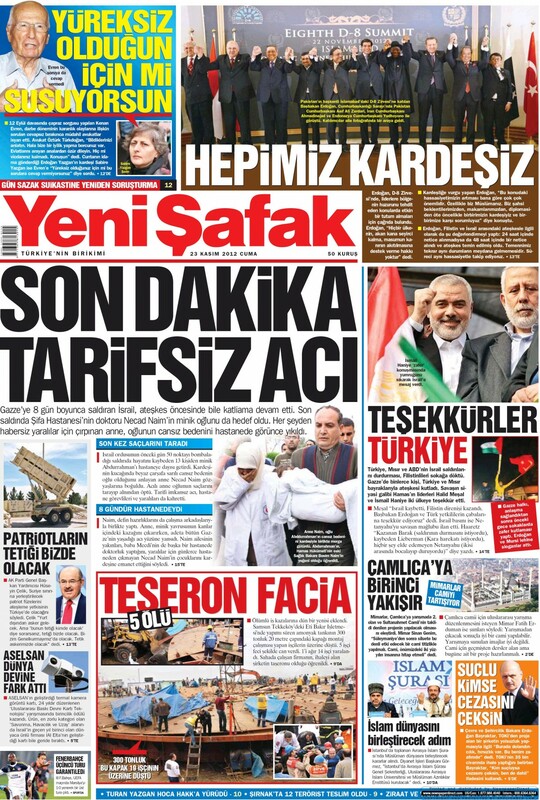 Below is a flavour of some of the less sophisticated front page reactions available on newsstands March 23. 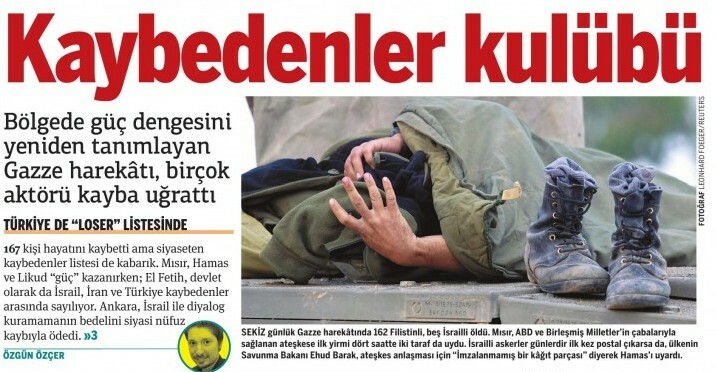 And the view from the orthodox left, March 25’s Sol: ‘Kiss, make up, go to war’, referring to Obama’s pressuring of Netanyahu to apologize, assisted by Turkey and Israel’s apparently similar perspectives on the Syrian civil war.